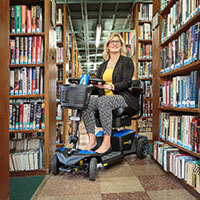 For those who spend the majority of their day in a manual wheelchair, comfort is a top priority. It has an impact on a user's energy, pain level and overall health and well-being. There are a few factors that can impact the level of comfort, but one contributes more than others—the wheels. Wheels don't just get a person in a wheelchair from A to B. They take the brunt of the shocks and vibrations created by going over something as simple as a crack in the sidewalk or down a curb. If the wheels aren't absorbing the bumps, the user is, resulting in daily pain and long-term health implications. While most wheels aren't built to take on the brunt of those daily shocks and vibrations, SoftWheels by Numotion are built for just that. They are quite literally a reinvention of the wheel. The innovative in-wheel suspension technology absorbs impact to provide a smoother, more comfortable ride. In-wheel Suspension: Three suspension arms inside the wheel rim absorb shocks from any direction. They remain perfectly rigid over flat terrain, while engaging to offer unparalleled cushioning on bumpy pavement or off-road, absorbing the shocks that are normally felt by the user. 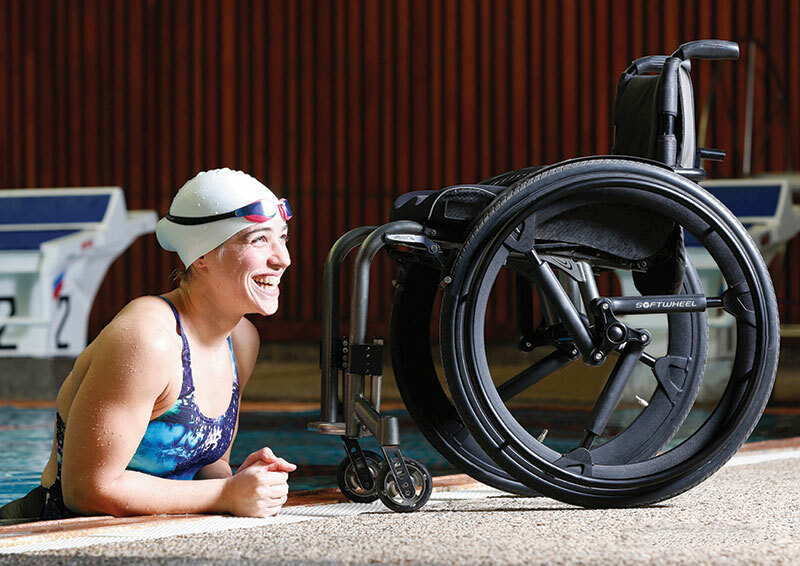 Rapid Shock Reset: Rapid Shock Reset allows the shocks to engage quickly when needed, providing the user with easier chair control. 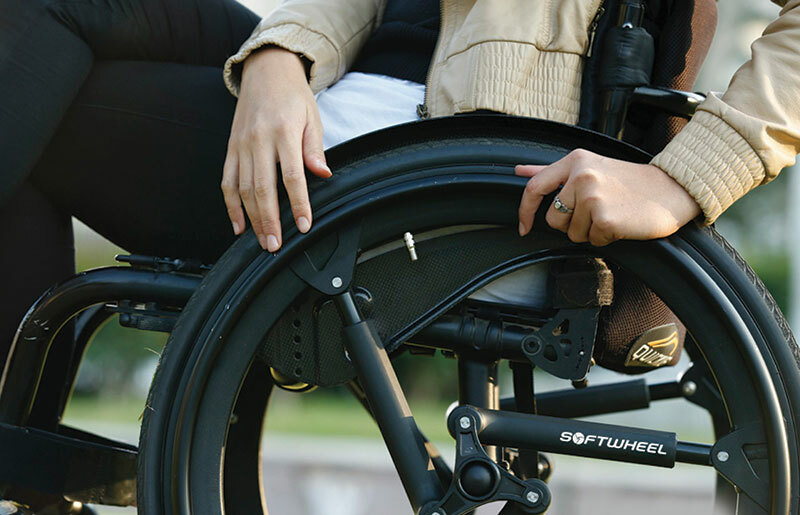 Unlike traditional wheelchair suspension systems, SoftWheel by Numotion is ready for action regardless of the angle of impact. Adaptive Rigidity: Adaptive Rigidity technology keeps the wheel's three suspension arms perfectly rigid and strong, like spokes. When encountering bumpy or uneven terrain, the arms automatically compress to absorb the shock, making the wheels do the work instead of the user. Single Piece Rigid Rims: SoftWheel rims offer as much stability and as fast a ride as the highest-quality rims on the market. They are available in aluminum or magnesium, in 24" or 25" models. All these pieces working together offer manual wheelchair users a superior riding experience unlike any other, and the difference can be felt with every turn. Whether a user lives in a city filled with potholes and curbs, a suburban area with crooked sidewalks or in a more rural area with gravel paths, SoftWheels by Numotion provide a smoother ride resulting in a more comfortable experience and less daily pain. For more on SoftWheel by Numotion, visit www.Numotion.com.